The SS model became a huge hit with the general public in 1984 as well as in NASCAR competition. It was available with Strato buckets and a floor console at an additional cost. This was the last year of the 5.7 liter diesel engine with only 168 manufactured. 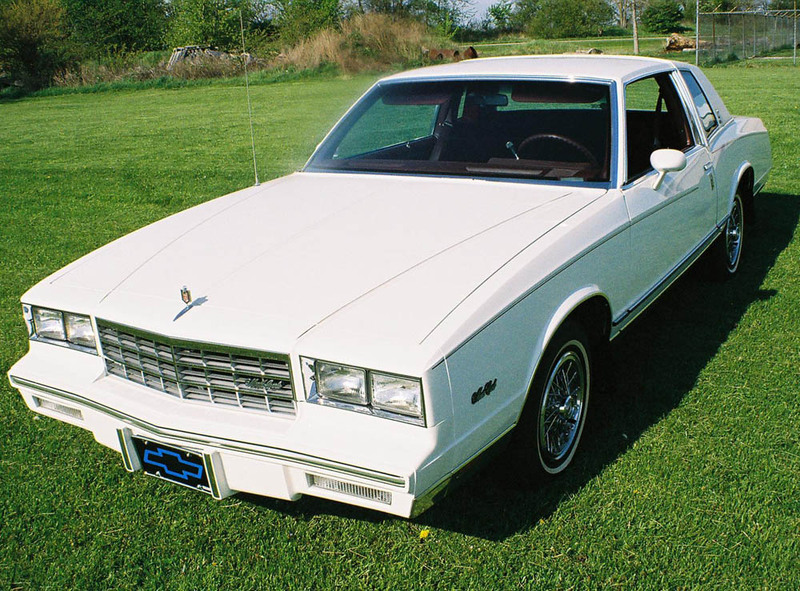 The three speed automatic was equipped on every 1984 Monte Carlo except for just three SS models at the end of the production run. Those three cars received the TH200-R4 overdrive automatic transmission. SS color choices were still white or dark metallic blue. Interestingly there were also a limited number of SS Monte Carlos made in Mexico for sale only in Mexico. There were many difference between the Mexican version and the US version including spoiler delete, 14 inch checker style rims (which were an option on base US models), and different side mirrors. A blue Grand Prix interior was used. The engines were high performance 350′s with 265 horsepower and 350 lb-ft of torque and came equipped with 4 speed transmissions with Hurst shifters.